India is the largest exporter of rice in 2016. 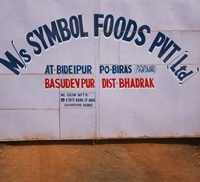 India exports a variety of rice and basmati rice is exported majorly from here. Saudi Arabia imports 16% of India’s total rice export in 2015. This country is at the top place in India’s rice export list. Saudi Arabia is also shares its rice import share of about sixty-three percent. The country demands basmati rice from India. This is the very reason why the government in India hopes to increase their export of basmati rice by way of assistance. They also increase their trade delegations and participation in international affairs. Actually, rice is the main staple good of people in the Kingdom of Saudi Arabia with an annual consumption of 43 kilograms. The country just depends much on rice import from India to meet its requirements. Iran holds the second rank by importing 11% of India’s total rice export. Iran is also included in the list of countries that import rice from India. In 2015, Iran is considered as the largest destination for long-grained and aromatic rice from the country. It could somehow be realized that it has a huge demand of rice considering the number of its population. It also imposed an import duty of rice of about ten percent. And now, it raised it to forty-five percent. India now exported three point seven million tons of basmati to the country to meet its food requirements. The commerce and industry ministry is also resuming its import of rice from the country. United Arab Emirates also consistently importing from major mills in India, it is at the 3rd rank by 8.6%. Demand of Indian Basmati is at the pick in UAE. Iraq is importing 6.1% of the total rice exported by India. This country also consumes a lot of rice and a constant importer of high quality rice from India. Asian countries import about 65% of total rice that India is exporting. It is followed by Africa with 24% and Europe by 7%. In 2016, Indonesia is deciding on importing rice. This is why India is facilitating its increase of rice because of the struggles of temporary shortage of the staple product. This was quite a big move for Indonesia that could boost the rice exports of the country. It also signed an agreement with India to buy rice that will meet their growing population as well. With all these countries that import rice from India, it can be said that the competitive prices of rice varieties attracted much of their attention. In addition to that, they also greatly rely on the rice supply coming from the country. India is also by far the biggest country that imports rice to its neighboring countries! It is not anymore breaking news if India became known for its rice export! Countries Producing the Best Quality Rice in the World Where Does Singapore Import Rice From? Buying Parboiled Rice in Bulk Different Types of Rice Exported from India Can You Import Rice to Malaysia?